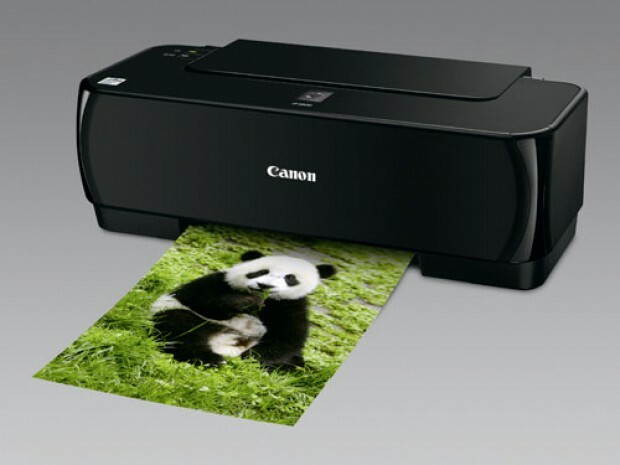 Have Canon inkjet printers often have problems with print quality. Their source may be contaminated printhead. For rinsing you can use distilled water or homemade mixtures. But, as a rule, these methods are not effective and time consuming. It's much simpler to use special cleaning products. Fill the syringe cleaner "Mr. Muscle" glass cleaner, which includes ammonia. Cut two pieces of the bandage and turn one of them on the size of the bottom surface of the printhead. The second piece crumple into a ball and slightly wet. They wipe the dirt located at the bottom of the printhead. Take a low capacity and put her head on the bottom side of a piece of bandage, pre-soaked in cleaner. Gently wipe grille intake vents. Removing the ink sealing rubber, rinse them under running water. Apply one drop of washing liquid on the lattice of ink inlets. Wait until the liquid flow through the head, and apply again. Frequently stained bandage, which is the head, into the net. When it will no longer be painted with ink, heavily soak it in washing liquid, place it on the printhead and leave in this position for an hour. If after this time the bandage will remain only faint stains, you can put the head into the printer to check print quality. Take the pieces of tubes with a length of approximately 5 centimeters to eliminate strong contamination, if the liquid droplets do not flow through the grille. The tube should slide on the nozzles receiving ink with little effort. Install them and pour inside washing liquid. Periodically check the fluid level in the tube and refill it as needed. After the bandage will cease to absorb the liquid, flowing from the head, replace it with a new one. If some of the tubes the liquid level drops slowly or not at all changed, add them cleaner and leave overnight. Before installing the printer drying the washed print head is not required. Do not use for flushing the print head of an inkjet printer Canon acidic mixture and liquid, as they can contribute to the destruction of the internal structures of the head.